SHERATON PERIOD MAHOGANY PATIENCE TABLE, CIRCA 1800. 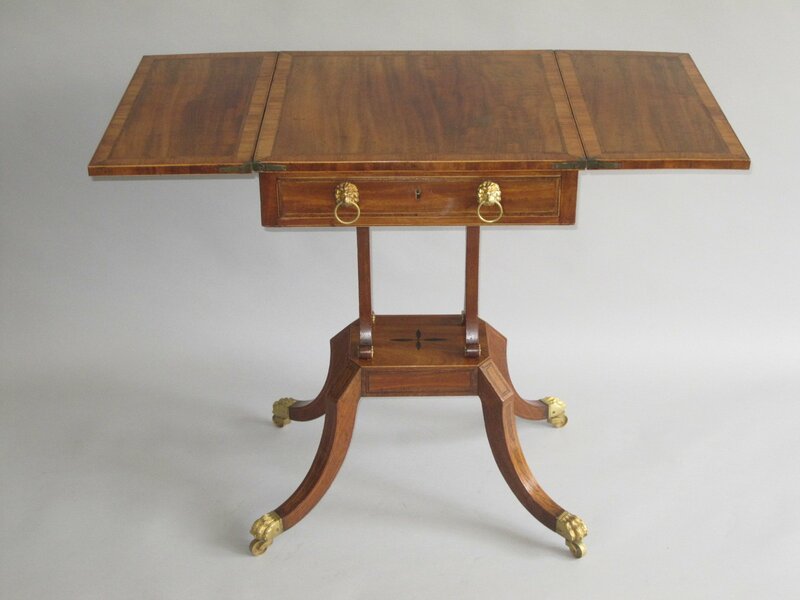 A GOOD SHERATON PERIOD MAHOGANY PATIENCE TABLE, CIRCA 1800. Croos banded in rosewood and with ebony and box line stringing, the sqauer top with two hinged flaps opening to reveal a card paying surface. An over a single drawer and opposing dummy drawer with original gilded lions head ring handles; raised on twin end supports, platform base and four splay legs with gilded lions paw caps & castors.